Most people in leadership positions don’t smile much. It’s often perceived as being weak or submissive, and many people feel that smiling will undermine their authority. However, more recent research shows that we may have it all wrong. 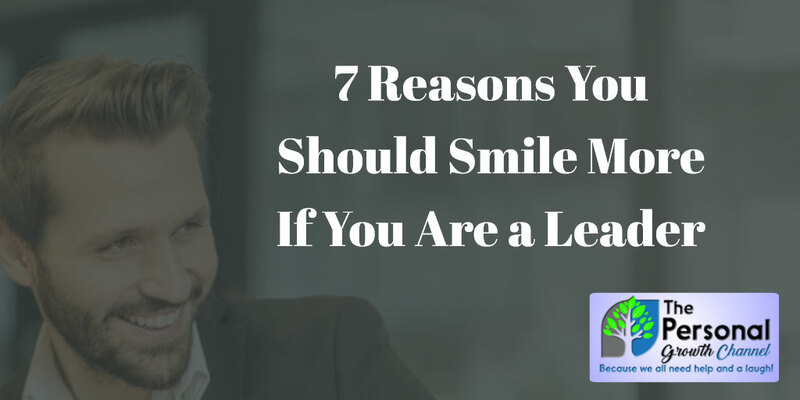 Here are 7 good reasons that you might want to try on a smile once in a while. Smiling isn’t just an involuntary reaction to something pleasing. There is growing research that has been done that shows the act of smiling releases serotonin, dopamine, and endorphins; all the chemicals responsible for the feeling of being happy. To help stay positive even when things look bleak, take a minute to put a smile on your face. Overseeing a group of people can raise your stress levels. Most people in a position of leadership are not only accountable for their own actions, but they also have to be able to answer for others as well. So while being a bit stressed is standard for most leaders, the same chemicals that increase your mood can also help reduce your stress levels. Smiling is known for being able to spread throughout a room. When someone smiles at you, we tend to smile back. This mimicry is a way for us to empathize and understand how someone else is feeling. So the act of smiling will not only bring you all of the benefits we’ve discussed already, but if you induce a smile in someone else, they will also reap those same benefits. Not only does smiling help reduce your stress, but it can also help those around you to relax. Seeing you feeling relaxed and less stressed can also help your team. As the leader, your stress has a trickle-down effect to those under you. When you’re stressed, they tend to worry that there is something that they should be concerned about. Smiling is a great way to help them reduce their anxiety as well. When you’re in a position of leadership, people are often unsure of whether they can just walk up and strike up a conversation, or if they should send you a request for a meeting if there is something to discuss. Smiling regularly will make you seem much more approachable, and it can reduce anxiety that someone might feel if they need to bring something to your attention. It can be especially important as a new leader to help set the mood going forward. Absolutely nothing will tell a team member that you are pleased with their work better than a genuine smile when you see something done well. Make a point to give praise in person rather than email (although don’t forget to document it for annual reviews) and serve up your gratitude and appreciation with a smile. When you smile, you appear to be relaxed, confident, and in control. If you want the people working for you to think you’ve got it together, smiling is a great way to do that. If you’re a bit self-conscious about your smile, see your dentist and take good care of your teeth. Many people that are stressed and in a position of leadership have trouble with grinding their teeth, which can be helped by purchasing a mouth guard to wear at night. It might be time to abandon the old ideas that leaders need to be authoritative and stern. 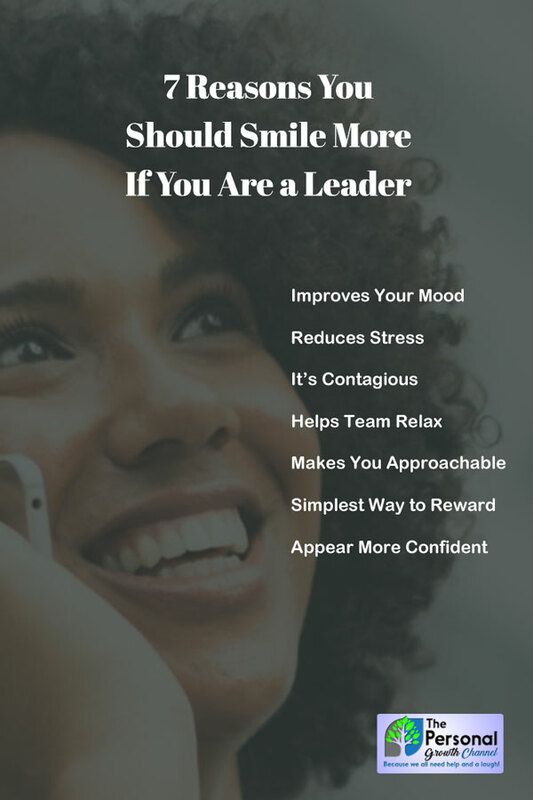 Smiling can really help to improve working conditions for both you and your subordinates if you’re in a position of leadership. About the Author: Amelie Mahone is a loving wife and a mother of 3. She loves to read about history and write articles on various topics such as business, education, history, and teaching. As a young mum, Amelie also likes to read about motivation and parenting. Amelie is part of the team behind Pro Teeth Guard - a dental lab providing custom dental night guards to help people maintain their beautiful smiles.